Java. Python. C++. Ruby. No matter which of the programming languages you favor, they’re all just tools. Which one you use depends on what it is you want to do. But popularity contests are always fun, whether ranking the best sci-fi movies of all time (I’m looking at you, 2001: A Space Odyssey), or classic personal computers (Radio Shack TRS-80, anyone?). And so, for the second year in a row, IEEE Spectrum has partnered with computational journalist Nick Diakopoulos to rank the most popular programmming languages used in data science and other areas today. Find out which language has come within a fiber-optic cable’s width of knocking the two-time winner out of the top spot; why statistical computing language R is this year’s big mover and shaker, and which new programming languages are already making their mark. Today’s data scientists are always learning new languages to suit the task at hand. Which one will become your new favorite? Looking to start or advance your career in data science? Find out why the online UW Master of Science in Data Science is a great program for working adults. Call 1-877-895-3276 or email learn@uwex.edu to talk with a friendly enrollment adviser today. Dr. Alex Smith is an academic director for the UW Master of Science in Data Science program. 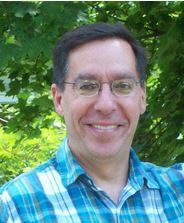 Currently a professor of mathematics at the University of Wisconsin-Eau Claire, Dr. Smith joined the faculty in 1990 and has served as the UW-Eau Claire Math Department Chair since 2007. His research interests are in computational science, differential geometry, and symbolic computation. We spoke with Dr. Smith to ask his thoughts on this new master’s degree program, what makes it unique among other data science programs, his suggestions for prospective students, and his predictions about the impact of data science over the next 20 years.